Overwatch hype is all over the place and I love it. We've been waiting for this game since its first reveal in 2014 and the beta the past year had a lot of us gamers hooked! Even if you're not into games, or specifically FPS games, you have to admire the amazing art and style Overwatch has. 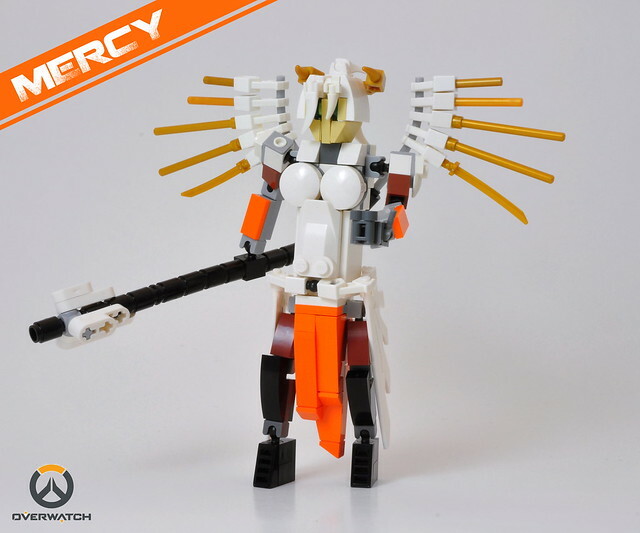 Here at BrickNerd we've already covered a few amazing characters such as Tracer, Bastion & Reinhardt; and I'm sure we'll continue covering more to come as the character designs are both amazing in game and even more in LEGO! Often we see LEGO female characters built overtly sexual to grasp the attention of the audience. I admire a builder who can create a strong LEGO character without having to rely on those details. Loysnuva used such fun details instead to portray this Swiss-warrior, like the tubing for her halo, and the teeth parts for her wings. 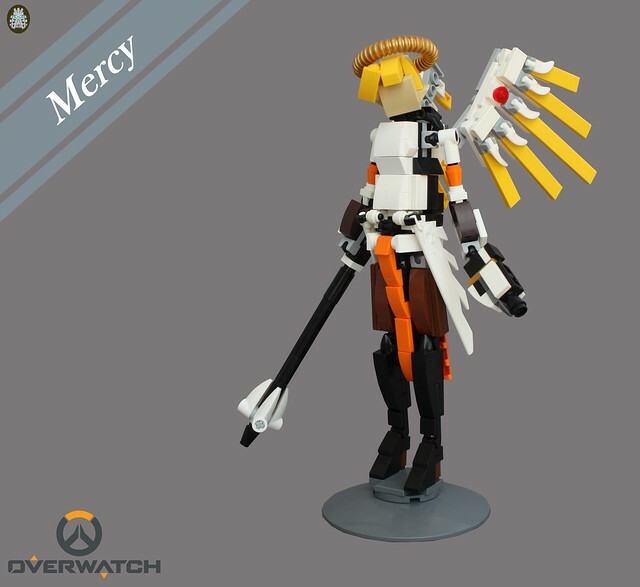 Mercy's halo is instead created with gold bionicle parts and gold horns at the ends; gold staffs and swords as detailing on her wings.